I am moving to a new website called FoodStorageOrganizer.com. You can find all of my Prepared LDS Family blog posts there. 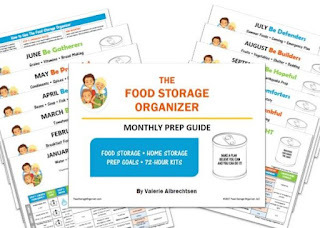 I've also updated my food storage and emergency prep lists and they are in The Food Storage Organizer: Monthly Prep Guide. It is available for purchase for $5.00 at my shop here. I tweaked my old prep lists, and fixed the errors and duplication. It is a calendar that can be used over and over again, so you don't need a new one each year. Your download purchase allows you to make as many printed copies as you wish. You can share printed copies, but NOT the copyrighted digital file through emails or ward newsletters. So if you want to give printed copies to LDS wards, Relief Society sisters, family members or congregations, you have my permission. 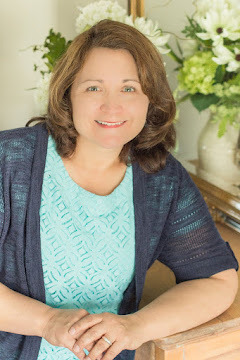 You can also sign up for my blog posts by email at FoodStorageOrganizer.com. And you can connect with me on my Facebook page here or on Pinterest here or Instagram here. My new site is a work in progress. :-) Thank you to my son, Josh, for helping me build the site, and my family for their constant support. I'll leave Prepared LDS Family up for a few months, but then it will be retired. Best wishes on a new year and your preparedness goals.